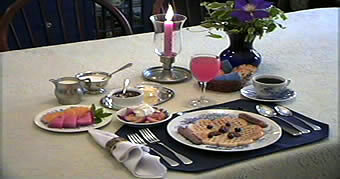 Welcome to the Alden House Bed and Breakfast providing in-town elegance since 1987. Our 1850 Federal style house, located in Historic Downtown Lititz, exemplifies in-town elegance. Whether you want a restful, romantic getaway, a comfortable inn or a convenient home-away-from-home, check out our Rooms & Amenities to see our comfy rooms and two room suites. The Alden House has been professionally restored with modern amenities while retaining its original charm. 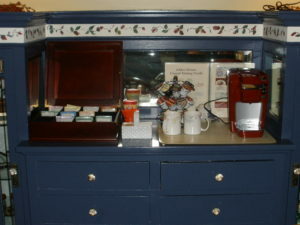 We have cozy, standard rooms and spacious two room suites, as well as the Carriage House. Each guest room has its own unique décor and appeal. All have private baths. To the rear of the inn, we have our own private parking lot, which leads to our peaceful garden including a patio by a small pond and fountain. There are three porches for relaxing or watching life on Main Street—parades, shoppers, dog-walkers or the occasional Amish buggy. We provide a 5 course breakfast that includes coffee, tea and juice; fresh fruit; main dish with local meat on the side; muffins or pastry; and dessert. We try to accommodate special dietary needs with advance notice. For the convenience of our guests, snacks and hot and cold beverages are always available. 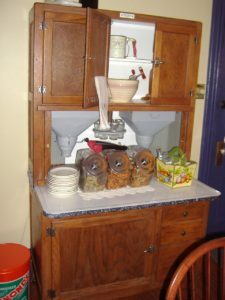 Look for the Jelly Beans and the Wilbur Buds in the candy dish near the front door. Entree. Entrees might include omlettes, quiche or baked French toast. Dessert (an Alden House specialty). Desserts vary from cakes, to delectable puddings, to homemade Danish and breakfast cheesecake. The Chocolate Café, located on Main Street. Isaac’s, 1 mile on 501 S.
Current weather for Lititz, PA.